Sangeetha is the daughter of Smt.Ganam. 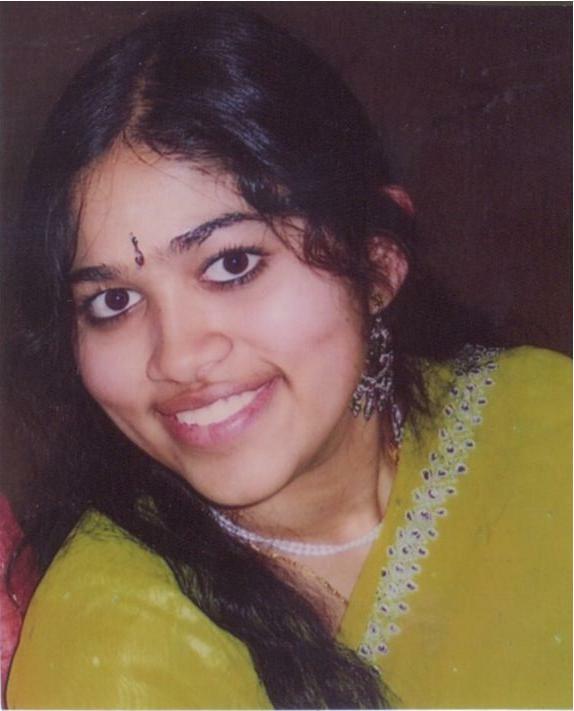 She learnt South Indian Carnatic Vocals from her mother Ganam & Carnatic Violin from her grandfather Sri.V. Lakshminarayana Iyer at the age of three and continued with the violin lessons from her mother. She learnt to play the Western Classical music on Violin at the age of three (her teachers including Iona Geller). She passed the grades I-IV in Western Classical Violin from the Music Teachers Association of California and then passed the V & VI levels from the London Trinity College of Music, England. She also learnt the art of Bharatanatyam from the age of five and is a student of Malathy Iyengar. She started to perform both music and dance from the age of seven. She danced for the presentation of 'Tulasi' the sacred plant of India for the Rangoli Foundation, USA at the Madrid theatre. She is a versatile artist who also learnt to play the Western Classical music on the clarinet from Fred Horn at the age of 10 and started to perform from the age of 13. She passed the IV & V levels in Western Classical Clarinet conducted by London Trinity College of Music England. She also plays the Clarinet in the Indian style. She performs regularly with the East-West Fusion Band Vignesh and has recorded for the band at the E Studio. A Choir member and a Western Violin Soloist she has been selected in Talent shows for playing Violin. An Orchestra Member of Noble Math & Science School she performed at Disneyland. Sangeetha was awarded the Spotlight Award in recognition of Artistic Achievement. academics studies. She is the recipient of many awards including the prestigious Young Scholar award, certificate for outstanding scholastic achievement on Orchestra, Medalist Society Award, Good Citizenship Awards, Principal Scholarship Awards for Outstanding Academic Achievement, PTSA Award certificates in Literature, Music & Photography. She received awards & appreciation letters from the Governor of California Gray Davis, Los Angeles Mayor James K. Hanu, United States Senator Barbara Boxer & Dianne Feinstein, Congress member of United States, California Legislature Speaker Emeritus of the Assembly, Los Angeles Unified School District Superintendent. chairs for the Indian Student Union at UCLA. Sangeetha gives many individual performances & also performs along with her mom Ganam.